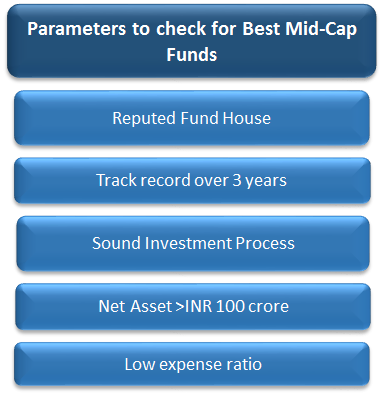 How Invest in Mid & Small Cap Funds Online? 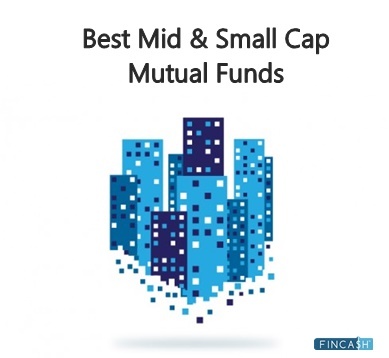 Looking for best mid & Small cap funds? Well, mid-cap & small-cap Mutual Funds are among one of the best wealth creation tools for long-term Financial goals. These financial goals may include a child’s education, Retirement planning, etc. Mid & Small caps are typically defined as firms with a market capitalization of less than INR 500 Crore. & Midcap market capitalization of less than INR 10,000 Crore. But, the risk of failure is higher with mid & small caps compared to large cap companies. However, mid & small cap funds help to diversify portfolios and investors can take a small allocation in the overall portfolio. 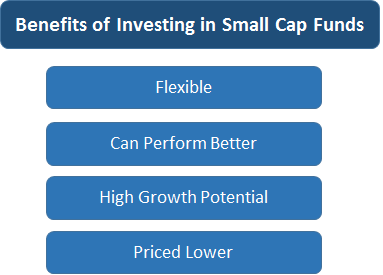 Investors planning to invest in these funds, can choose a fund from the below-listed best performing mid & small cap funds. SBI Small Cap Fund is a Equity - Small Cap fund was launched on 9 Sep 09. It is a fund with Moderately High risk and has given a CAGR/Annualized return of 18.7% since its launch. Ranked 4 in Small Cap category. Return for 2018 was -19.6% , 2017 was 78.7% and 2016 was 1.3% . expected amount after 5 Years is ₹584,107. L&T Emerging Businesses Fund is a Equity - Small Cap fund was launched on 12 May 14. It is a fund with High risk and has given a CAGR/Annualized return of 20.1% since its launch. Ranked 2 in Small Cap category. Return for 2018 was -13.7% , 2017 was 66.5% and 2016 was 10.2% . 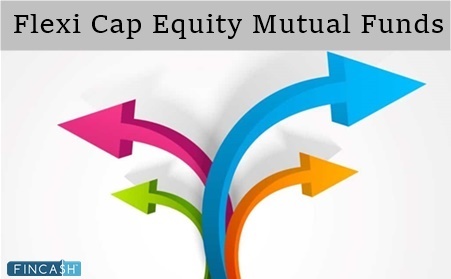 An Open ended Small and Mid Cap Equity Scheme with an objective to generate consistent long-term capital appreciation by investing predominantly in equity and equity related securities of companies considered to be small and midcap. The Scheme may also invest a certain portion of its corpus in fixed income securities including money market instruments, in order to meet liquidity requirements from time to time. Aditya Birla Sun Life Small Cap Fund is a Equity - Small Cap fund was launched on 31 May 07. It is a fund with Moderately High risk and has given a CAGR/Annualized return of 11.1% since its launch. Ranked 1 in Small Cap category. Return for 2018 was -22.6% , 2017 was 56.7% and 2016 was 9.7% . Jayesh Gandhi 15 Dec 14 4.13 Yr.
Kotak Emerging Equity Scheme is a Equity - Mid Cap fund was launched on 30 Mar 07. It is a fund with Moderately High risk and has given a CAGR/Annualized return of 11.9% since its launch. Ranked 12 in Mid Cap category. Return for 2018 was -11.7% , 2017 was 43% and 2016 was 10.4% . To provide long-term capital appreciation by investing predominantly in Small-Cap and Mid-Cap companies. 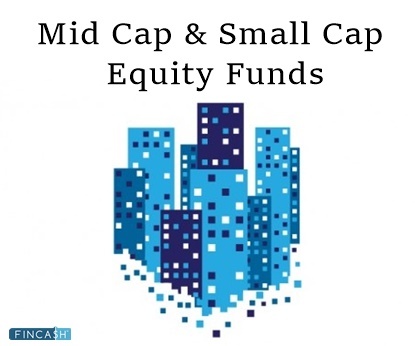 HDFC Small Cap Fund is a Equity - Small Cap fund was launched on 3 Apr 08. It is a fund with Moderately High risk and has given a CAGR/Annualized return of 14.4% since its launch. Ranked 9 in Small Cap category. Return for 2018 was -8.1% , 2017 was 60.8% and 2016 was 5.4% . Chirag Setalvad 25 Jun 14 4.61 Yr. The primary objective of the Scheme is to identify and select low priced stocks through price discovery mechanism, which would broadly include: • To capitalise on available opportunity on growth potential offered by undervalued stocks, especially in the midcap and smallcap space. • Such stocks being low priced and if dividend paying, decent dividend yield will give desired cushion in the volatile capital market. • Many of such cases where investment will be made may be turnaround cases, therefore, greater potential for improvement in NAV. Taurus Discovery (Midcap) Fund is a Equity - Mid Cap fund was launched on 5 Sep 94. It is a fund with Moderately High risk and has given a CAGR/Annualized return of 6.1% since its launch. Ranked 13 in Mid Cap category. Return for 2018 was -7% , 2017 was 46.1% and 2016 was 3.2% . Prasanna Pathak 30 Jun 17 1.59 Yr.
☆☆☆☆☆ Rated 4.4, based on 11 reviews.